Fashion continually pushes boundaries – transitioning from one creative idea to the next crazy, over-the-top trend. 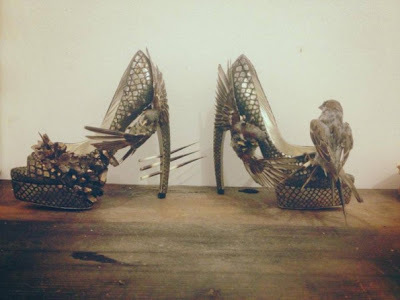 Well this may take the #1 spot- taxidermy art becomes footwear fashion. You heard that right; Divya Anantharaman created these posh stilettos with a lifelike birdie perched on top. If you’re interested they’ll certainly cost you some serious money.